Regal Honda would like to introduce drivers from nearby Brandon and Lakeland, Florida to the 2018 Honda Accord sedan. This all-new, redesigned Accord boasts the latest technologies that drivers and families crave, from its advanced driver-assistive and safety systems to its large touchscreen and Multi-Angle Rearview Camera. Take your pick from a range of potent yet efficient Honda powertrains that deliver a thrilling drive and savings at the gas pump. The team of Honda sales associates at Regal Honda invite car buyers from nearby Winter Haven, FL and beyond to visit our new and used Honda dealership in Lakeland to learn about this stylish sedan in more detail. 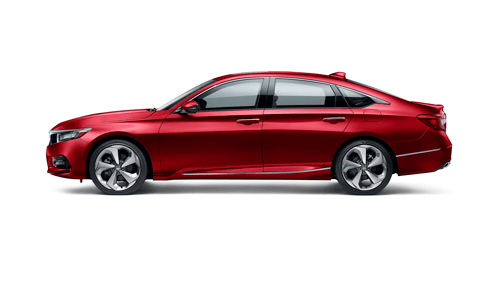 Of course, once you have shopped our online inventory of new Honda vehicles and you arrive at our dealership, you can also take your 2018 Accord of choice out for a test spin, so shop Regal Honda today! Regal Honda's sales team welcomes you to stop by our dealership in Lakeland, Florida at your convenience for a guided tour of the stylish, advanced and award-winning 2018 Honda Accord. We are confident that once you drive the highly refined, efficient and advanced Accord, you will seek out one of these sedans to call your own. Let our sales associates help you secure your dream Honda with a tour and test drive, plus auto loan assistance from our in-house finance team. Shopping our new Honda selection online is a great time to view our current Honda lease and finance offers, and see what your current car is worth as a trade. Remember that Regal Honda is also the Home of the Lifetime Warranty on every new Honda sold here, so shop our dealership today!